Thank you for registering for The Complete Pitcher Program. Please contact Ryan Kulik directly with any questions (856) 905-3700. We look forward to a productive offseason! I first started working with the Complete Pitcher Program when I was as a sophomore at St. Augustine Prep. At the time I was making the jump to the varsity level and needed guidance on how to be prepared for the next step. As a young player it was important for me to realize that the mental side of the game is just as important as the physical. The Complete Pitcher Program was able to help me reach my peak performance in both of these aspects. The intense workouts paired with time spent discussing game situations helped me to consistently make big strides in the weight room and on the mound. During my time with Coach Kulik I not only learned how to pitch, but also how to prepare before games and stay focused throughout many big games. With his help I was able to reach the Division 1 level and still use many of the tricks he taught me. 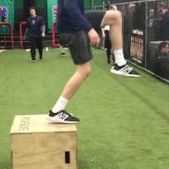 The Complete Pitcher program is a time in the offseason that you get excited for working hard to become a better pitcher and overall athlete. TCP gets you ready to play physically and mentally. This will be my third year doing the program and it’s helped my arm tremendously. I never get sore anymore which allows me to bounce back faster. 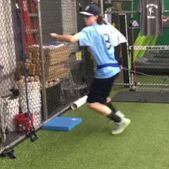 TCP helps increase velocity and maintain a healthy arm. I never felt better. It allows you to be at your best when your ready to attack your dream of playing in college or professionally. In my case, keep it alive. I remember my parents having a conversation with me when I was 12 about my future as a pitcher. I remember them saying "we can't do anything about your size & velocity thats up to God. The best thing we can offer, to help you achieve your dreams is form." That is when we began looking for a pitching coach. My parents not knowing where to begin decided to send an email to Kenneth M. Dickson head baseball coach at Rowan University. It was an extremely long email but to summarize it for you the sentiment was "we are looking for someone who is going to care about the success of our child and not just interested in taking our money.” His response “Ryan Kulik.” He was absolutely, correct!! First, thing coach Kulik did was change my form. Second, I was not allowed to throw any breaking pitches and finally I had to adhere to pitch count restrictions. I struggled at first and my parent began to question their decision but we stayed the course and it was the best decision we ever made! I have found from working with coach Kulik that my confidence comes from knowing that I have prepared as hard as I possible could have and because of that I can live with any outcome of the game. If at the end of the game i do not like the results, I call coach Kulik and we work harder. Other than my parents nobody has contributed more to my development and success as a pitcher than coach Kulik. To summarize.. Coach Ryan Kulik and the Complete Pitcher program has been the best decision my family and have ever made! 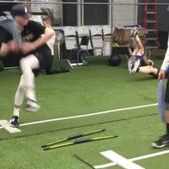 The Complete Pitcher Program has helped me prepare for college baseball. 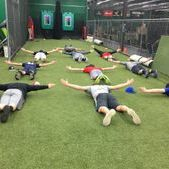 I learned the importance of arm care exercises, strength and conditioning protocol, and baseball specific drills that I implement daily into my routine. The Complete Pitcher Program is great for any serious pitcher who wants to take their game to the next level. Before I joined the complete pitcher program, I had many ups and downs in my career. With a big build and a decently strong arm, in my young career I was able to dominate kids with a fastball and that’s pretty much it. Because of my early success, I never took the time to perfect my craft and soon, everyone was throwing just as hard as me, if not harder. This frustrated me because I used to be a big fish in a small pond but now everyone was on an equal playing field. Additionally, I was constantly battling injuries. In the winter of my senior year, I had to have wrist surgery that could have potentially kept me out for my entire last season. After successful rehab, I needed to make up from a lost winter of work. This is when I first started to attend the Complete Pitcher Program. From the very first session with Ryan, I noticed immediate differences. Not only was I throwing harder, but I was mentally stronger on the mound than I had ever been in my whole life. I had the mentality that I could get anyone out and was always better than the opposition. I credit my entire senior season to the work of Kulik. I went on to have a 0.00 ERA with only 5 hits given up in 19 innings of work. Even as a college athlete, I still text Ryan all the time with questions because he knows me better than I know myself as a pitcher. 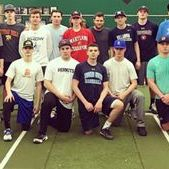 The Complete Pitcher is the best developmental program in the South Jersey area. When I started working with Ryan it was around 6th or 7th grade, I came in as a tall, lanky, and uncoordinated kid that overall just did not look athletic in the slightest...all I did was throw hard. Ryan saw that in me and began his long journey on trying to get me to reach that untapped potential. It was hard on both ends but looking back at it now, I have never met someone with more persistence and devotion than him. I was known as “Wild Thing” growing up and I never could control anything including my own body. It was embarrassing going on the mound sometimes because I knew that I was going to come off the rubber towing 3+ runs, 3+ HBP’s, and an absurd amount of walks. I lost faith in myself many times but every time I went to work with Ryan as my pitching coach I could feel myself getting better. My terrible mechanics became more polished, my love for the game grew, my confidence rose, and all I did was come to him as much as possible and gave him all I got every time. In terms of pitching, besides my family, he is the only one who was loyal enough to stick with me the whole time. All the remedial and excruciating exercises were tough, but they created a baseball “Pitcher” in me and I secretly thank him for that everyday. I came from a frail child who was coddled by his Mom to a man who created opportunities at any cost. I was a projected top five rounder out of high school (although, I injured myself in an unrelated baseball scenario) and went onto play in college instead. I started as a freshman in the rotation at the D1 level and took my team to the championship in the semifinals conference games, I went to Cape Cod to play baseball with the best players in the world, and now I am here. Still texting Ryan for advice and currently asking him to workout in the winter with him to “get better”. Heed my advice, stick with this guy...he’ll get you there. When I first started working with Ryan, I had just transitioned from catching to pitching. 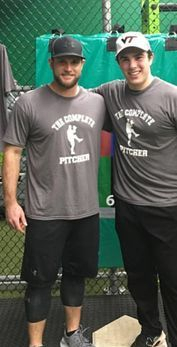 Through his complete pitcher program, he was able to help me learn fundamental mechanics and create the building blocks for me to become a pitcher, mentally and physically. Not only did he help me to become a pitcher, but through his workouts, my arm grew in strength and I went into my junior season in the best shape of my life. If I had not worked with him, I would not have become the pitcher I am today and would not be playing division 1 baseball. My name is Jack Billings and I am a senior at Saint Augustine preparatory school. I started working out with Ryan kulik about 6 years ago, and it was the best choice I ever made in my baseball career. I would not be where I am today without his help and I can't thank him enough for it. His extensive workout, called the Complete Pitcher Program, accomplishes everything you need for your shoulder and the rest of your body. He trains your body not only physically but mentally as well to prepare for the upcoming season. I am proud to be a baseball player who worked with Ryan Kulik and created a life long relationship with him. He is an unbelievable coach who knows what he wants to accomplish and how he wants to accomplish it. As a result of the Complete Pitcher Program, I have committed to Virginia Tech. I am forever grateful to coach Ryan Kulik. The skills, techniques, and fundamentals taught by Ryan were absolutely invaluable. It is undeniable these lessons contributed significantly in being accepted to a Division 1 College. One of the best investments I made! !